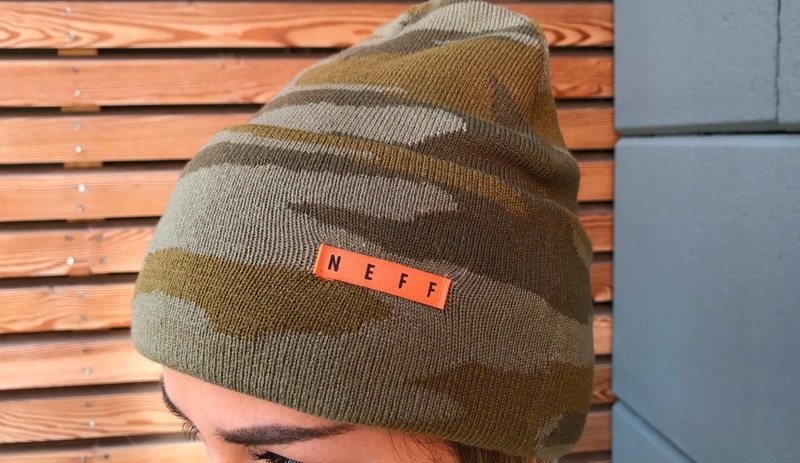 A good beanie by Neff gives you that cozy feeling of a blanket on a sofa on a rainy Sunday. How could it be any better? 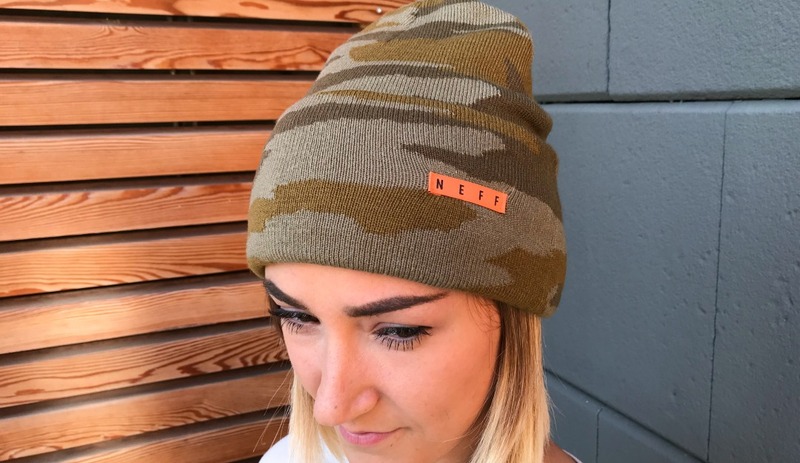 With the experience that only a brand that started its long path providing beanies to a select elite of pro snowboarders can have, the lifestyle brand distributed in Italy by Nitro can’t be touched when it comes to beanies. 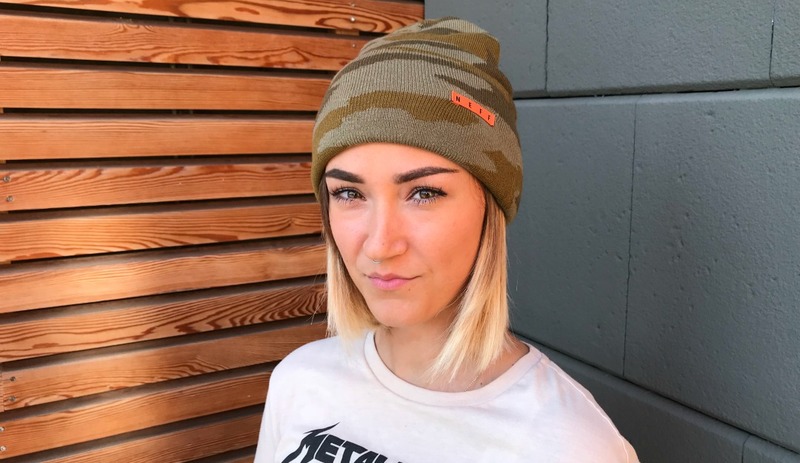 The beanie as we know it nowadays in streetwear has a long history and this folded version of the Lawrence Jacquard beanie is the most common these days. With its medium length and with a woven label stitched on the fold this is how you front winter in style. 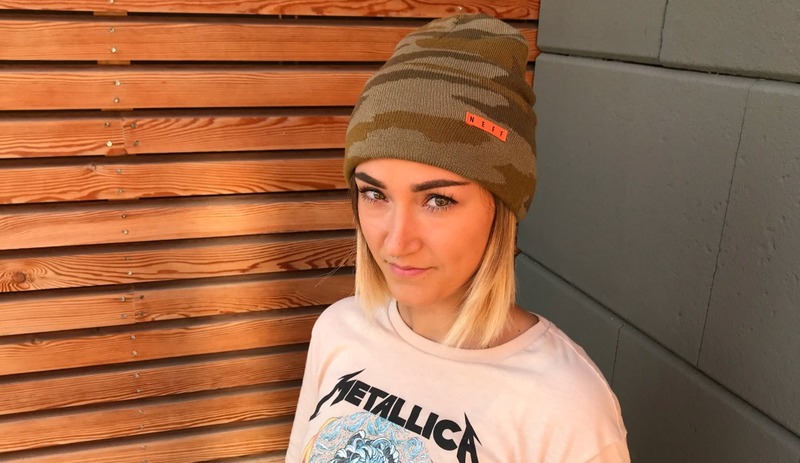 Relying on a classic color palette that pairs a brownish woodland camouflage tone with a contrasting orange label, this headwear piece here worn by Francesca L can be worn everywhere, from a snowboard resort to the coolest bar in town. 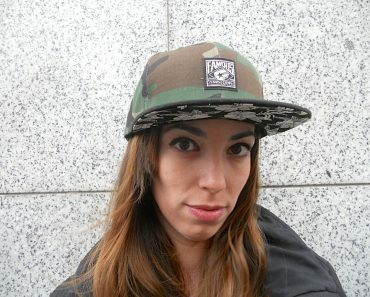 Will you be able to match this cap with a crispy pair of sneakers? Will you take the easy way of a workwear boot to pull it out? Neff can’t stand still. 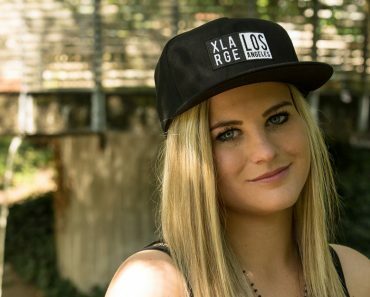 The Californian brand keeps on moving like Soul II Soul. 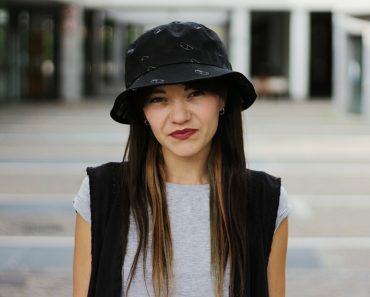 After its successful collaboration with The Black Panther for a capsule collection, Neff stays grounded in its terrain: fun. It may seem vague but it’s not when your philosophy is based on an hashtag like #foreverFun. All you have to do is let yourself go in a Californian active lifestyle where anything (cool) goes. From snowboard heads testing the sand terrain to Coachella Festival or loading up the RV to go skate Orchid ranch miniramps.